At Stockton Dermatology, we provide care with a keen focus on patient comfort and satisfaction. If you are beginning to notice the signs of aging on your forehead, around your mouth, or even on your neck, there is a good reason to consider scheduling a consultation to discuss the benefits of BOTOX® Cosmetic in Phoenix, AZ. BOTOX®is the first cosmetic solution developed in injectable form. 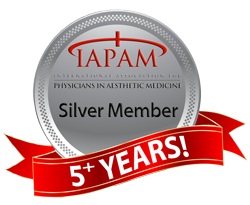 According to the American Society for Aesthetic Plastic Surgery, this treatment has enjoyed exponential growth since its first approved use in 2002. From the onset of cosmetic use, this anti-aging treatment outdid even breast augmentation in terms of popularity. As we have seen the uses of BOTOX® expand, we have also seen that popularity grows along with it. Today, BOTOX® is sought by men and women of all ages; those who want to turn back the hands of time, and those who are interested in postponing the onset of facial aging. Botulinum toxin A is the active ingredient in BOTOX® Cosmetic. For clinical and cosmetic use, manufacturers have processed this toxin into its mildest, most purified form. When introduced to the muscles of the body, this protein disrupts the flow of information between the brain and nerve endings in targeted muscles. It does so by temporarily halting the production of acetylcholine, a neurotransmitter chemical that facilitates muscle contractions. Without this chemical to bind to nerve receptors in the muscle, this tissue is able to relax. Initially, botulinum toxin was approved as a therapeutic modality for muscular disorders. In the treatment of blepharospasm and strabismus, two disorders that affect the eyes, physicians noticed that patients’ frown lines disappeared as a result of muscle relaxation brought on by the injected drug. A few years and multiple clinical tests later, BOTOX® Cosmetic became the next great treatment in cosmetic medicine. Wrinkle-reduction with BOTOX® is a simple process. We begin with a thorough consultation to discuss the concerns and expectations a patient has. When it is determined that BOTOX® is an appropriate treatment, injections may be administered immediately. A very fine needle is used to inject small doses of BOTOX® into the treatment area, so most patients do not need local numbing cream. Ice may be applied either before or after injections to soothe the slight pinch that may be noticed. BOTOX® may be performed as a primary treatment, or in combination with dermal fillers for more noticeable facial rejuvenation. Our consultation includes discussion regarding which products are most suitable for particular concerns. For example, BOTOX® may be used to reduce under eye wrinkles, but this drug does not reduce under eye bags. A dermal filler such as Voluma may be an appropriate treatment option in this case. One of the reasons that patients appreciate BOTOX®, as well as other injectables, is that there really is no downtime to speak of after treatment. Patients are able to return to most of their normal activities immediately after injections, with the exception of strenuous physical activity, including exercise. Heating the body in the first few days after treatment may inhibit optimal absorption of the product, which could diminish results. For the week that BOTOX® is integrating into facial or neck muscles, it is beneficial to limit exercise and activities to moderate levels. Results peak about two weeks after treatment. BOTOX® treatment is injected into superficial muscles. As such, side effects such as mild redness and swelling may occur. Some patients may notice minor bruising around the injection sites. These common side effects typically decrease over a few days. Additional side effects include mild achiness or a headache.